In my analysis, Communist China, Red China is aggressor, hegemonist, imperialist, Expansionist,Neocolonialist, and Evil One occupying Tibet using military force. I do not consider the actions of Tibet, or of India to explain as to why Tibet lost Freedom in 1950. It relates to the sequence of events and the role of KM Panikkar, the Indian Ambassador in China, during the weeks after the invasion of Tibet. Red China – Aggressor. Indian Mission in Lhasa till 1952. 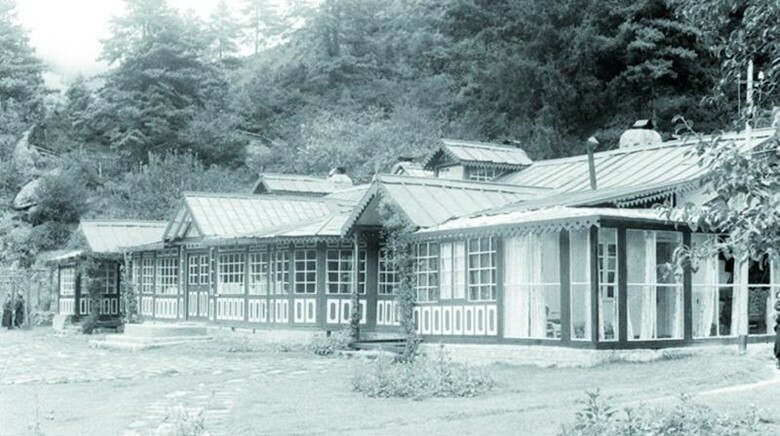 Dekyi Linka, the Indian Mission in Lhasa till 1952 (thereafter the Indian Consulate-General). Claude Arpi, holding the Field Marshal KM Cariappa Chair of Excellence from the United Service Institution of India (USI), for his research on the Indian Presence in Tibet 1947-1962 (in 4 volumes), has extensively worked in the National Archives of India and well the Nehru Library (on the Nehru Papers) on the history of Tibet, the Indian frontiers and particularly the Indian Frontier Administrative Service. The Last Months of a Free Nation — India Tibet Relations (1947-1962) is the first volume of the series, using never-accessed-before Indian archival material. Though Tibet’s system of governance had serious lacunae, the Land of Snows was a free and independent nation till October 1950, when Mao decided to “liberate”it. 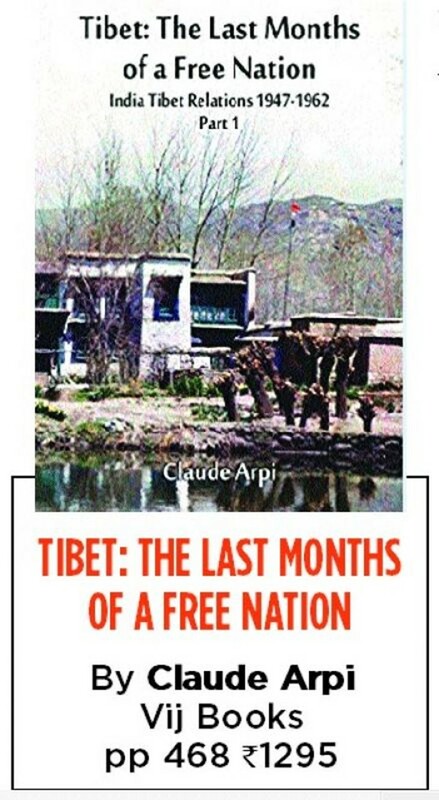 But “liberate” from what, was the question on many diplomats’ and politicians’ lips in India; they realised that it would soon be a tragedy for India too; Delhi would have to live with a new neighbor, whose ideology was the opposite of Tibet’s Buddhist values; the border would not be safe anymore. The narrative starts soon after Independence and ends with the signing, under duress, of the 17-Point Agreement in Beijing in May 1951, whose first article says: “The Tibetan people shall unite and drive out imperialist aggressive forces from Tibet; the Tibetan people shall return to the big family of the Motherland-the People’s Republic of China.” Tibet had lost its Independence …and India, a gentle neighbour. Reproduced below are extracts from a chapter The View from the South Block. It relates to sequence of events and the role of KM Panikkar, the Indian Ambassador in China, during the weeks after invasion of Tibet. It is usually assumed that Sardar Patel, the Deputy Prime Minister wrote his “prophetic” letter to Jawaharlal Nehru, the Prime Minister, detailing the grave implications for India of Tibet’s invasion. In fact, he used a draft sent to him by Sir Girija Shankar Bajpai, the Secretary General of the Ministry of External Affairs and Commonwealth. On November 7, 1950, just a month after the entry of the People’s Liberation Army in Tibet, Patel sent Bajpai’s note to Nehru under his own signature Bajpai, the top-most Indian diplomat, was deeply upset by the turn of events; he also shared his note with President Rajendra Prasad, C. Rajagopalachari and others. Nehru ignored Patel’s letter and the views of his colleagues. It is usually assumed that Sardar Patel, the Deputy Prime Minister of India wrote the “prophetic” letter to Jawaharlal Nehru, the Prime Minister, detailing the grave implications for India of Tibet’s invasion. In fact, he used a draft sent to him by Sir Girija Shankar Bajpai, the Secretary General of the Ministry of External Affairs and Commonwealth. On November 7, 1950, a month after the entry of the People’s Liberation Army in Tibet, Patel sent Bajpai’s note under his own signature, to Nehru, who ignored Patel’s letter. Bajpai, deeply upset by the turn of events, had also sent his note to President Rajendra Prasad and C Rajagopalachari. Delhi again repeats its “philosophical” position: it would be bad for Beijing to invade Tibet: “The Government of India would desire to point out that a military action at the present time against Tibet will give those countries in the world which are unfriendly to China a handle for anti-Chinese propaganda at a crucial and delicate juncture in international affairs.” Delhi is convinced that “position of China will be weakened” by a (Chinese) military solution. The objective of Mao and the Southwestern Bureau in Chengdu is to occupy Chamdo, it is therefore clear that the PLA is preparing to enter “Tibet proper”. …The objective remains the fall of Chamdo before the winter, ambassador or no ambassador, negotiation or no negotiations. On October 17, the Indian Ambassador receives the full details of the Chinese invasion of Tibet. South Block confirms Tibet’s invasion, it was “brought to our notice at the request of the Tibetan Government in a message sent through our Mission in Lhasa,” says a cable from Delhi. The next day, Panikkar continues to argue against the invasion having happened; he says that out of the incidents to which Lhasa has drawn Delhi’s attention, only one appears to be new. Finally on October 24, the Ambassador presents an aide-memoire to the Chinese Foreign Office. Bajpai notes “The contrast between the tone and content of the instructions sent to the Ambassador, and his feeble and apologetic ‘note’ deserves notice.” This raises a question, how could the ambassador present an aide-memoire without its content being vetted by South Block? It is a mystery. Bajpai could only conclude that “from the foregoing narrative which I have been at some pains to document, that ever since the middle of July, at least, Peking’s objective has been to settle the problem of its relations by force.” From Mao’s cables, [one can see that] the invasion (or “liberation” for the Chinese side) did not at all depend on “negotiations” or “talks” with Tibetans. The army action had been decided since months. Though Bajpai says that he is not interested to find “scapegoats”, he finally blames his ambassador to China: “The search for scapegoats is neither pleasant nor fruitful, and I have no desire to indulge in any such pastime. …however, I feel it my duty to observe that, in handling the Tibetan issue with the Chinese Government, our Ambassador has allowed himself to be influenced more by the Chinese point of view, by Chinese claims, by Chinese maps and by regard for Chinese susceptibilities than by his instructions or by India’s interests.” This is a strong, though late indictment of Panikkar. …When on October 31, Sardar Patel wrote back to Bajpai: “The Chinese advance into Tibet upsets all our security calculations. …I entirely agree with you that reconsideration of our military position and disposition of our forces are inescapable.” A few days later, Bajpai would write a note for Patel who sent it to Nehru, who did not even acknowledge it… Patel passed away five weeks later. Red China – Aggressor. 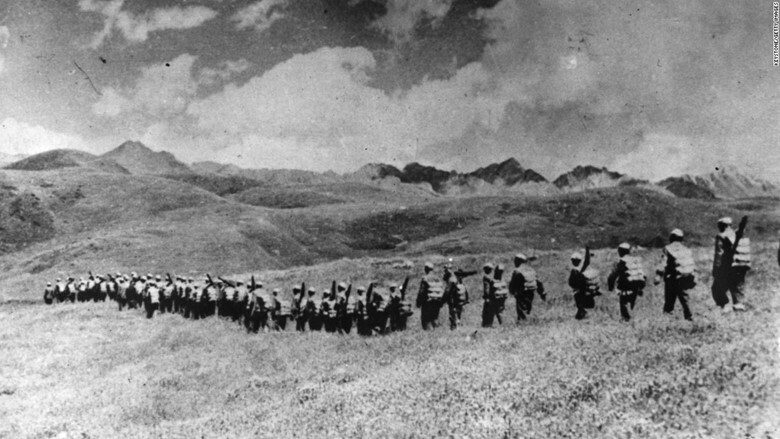 Invasion of Tibet in 1950.